The letter from Attorney General William Barr to Congress on the conclusions reached by special counsel Robert Mueller. "Nobody wants to hear this, but news that Special Prosecutor Robert Mueller is headed home without issuing new charges is a death blow for the reputation of the American news media," Rolling Stone's Matt Taibbi wrote in a column published Saturday, a day before Barr nailed the collusion coffin shut. He added, "Nothing Trump is accused of from now on by the press will be believed by huge chunks of the population." Taibbi wrote that the reporting and commentary asserting collusion between Trump and Russia belonged in the dustbin of other discarded stories, such as Iraq possessing weapons of mass destruction before the U.S. invasion in 2003. He even called out "Saturday Night Live" — one of Trump's favorite Twitter foils — for a cast sing-along to Mariah Carey's "All I Want for Christmas Is You" that featured the line: "Mueller, please come through, because the only option is a coup." Journalist and commentator Glenn Greenwald — a longtime skeptic of the collusion angle — tweeted his contempt for the media coverage on Sunday, too: "Check every MSNBC personality, CNN law 'expert,' liberal-centrist outlets and #Resistance scam artist and see if you see even an iota of self-reflection, humility or admission of massive error." He added, "While standard liberal outlets obediently said whatever they were told by the CIA & FBI, many reporters at right-wing media outlets which are routinely mocked by supersmart liberals as primitive & propagandistic did relentlessly great digging & reporting." In a statement Sunday night, Chait stood by his article. "That story relied on reports in credible public sources," he said. 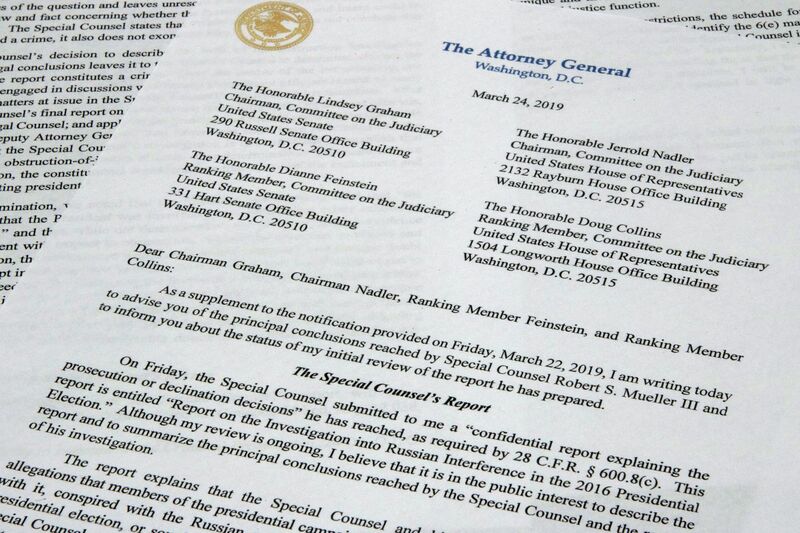 "None of those reports have been refuted … If the full Mueller report does show that media reports on Trump's ties to Russia were wrong, I would absolutely amend, correct or withdraw commentary I have written on that basis." He noted that Barr's letter summarizing Mueller's finding points out that the actions that warranted an obstruction inquiry were "the subject of public reporting" — a fact "that's to the credit of the media."